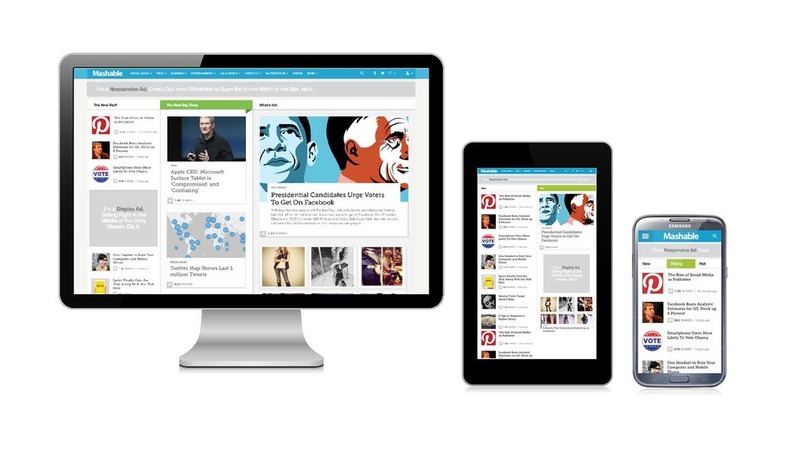 Responsive web design is without doubt here to stay. Responsive website design describes the way that we design and develop websites using fluid grids so that the content of the site can adapt to the user’s device. This is why responsive web design is so important. It allows you to engage with every visitor to your website, regardless of the device that they’re using. It helps to future-proof your website and increase your ability to engage with and convert visitors into paying customers who keep coming back for more. The most important premise behind responsive web design is that it should allow every user to experience your website in a clear, helpful way. Instead of having to zoom and scroll their way through your site, it should be presented in a simple, accessible way. It’s therefore essential that your responsive website should have universal functionality. This is both harder and easier than it sounds. On the one hand, fluid grids mean that we don’t have to preempt every device that a user will possess. However, as we’ll explain below, it’s important to test your website on as many browsers and devices as possible to maximise the functionality of the site across a wide range of products. In 2014 many website are experiencing more than 50% of all website traffic from mobile devices. It’s therefore very important to consider whether you should adopt a mobile-first design approach. This is a simple but radically different way of thinking about website design. Instead of designing a website in desktop format and then thinking about other devices, we begin by thinking about the needs of mobile visitors and then scale it up for desktop users. Navigation is one of the crucial battles that web designers face in achieving responsive web design perfection. Keeping things as simple and functional as possible allows visitors to find their way around the site with minimal hassle. Big buttons and clear layouts help to make this possible. We’re seeing more and more retina-quality devices flooding the smartphone and tablet market. This means, unsurprisingly, that high-quality websites are prioritising high-quality images that will impress and delight users with these devices. However, it’s very important to remember that website performance and speed are crucial factors in achieving responsive web design success. Mobile users need to be able to access your website quickly and easily, and a slow load time is not going to do you any favours, increasing bounce/exits rates and reducing conversions. On that note, ensure that each image is carefully optimised to ensure that a careful balance is achieved between image quality and load speed. It can – and should – be done. Finally, once you’ve designed and developed the site, set aside time for cross-browser testing. This will iron out any teething issues and bugs and help to ensure that every visitor experiences your website as it should be.